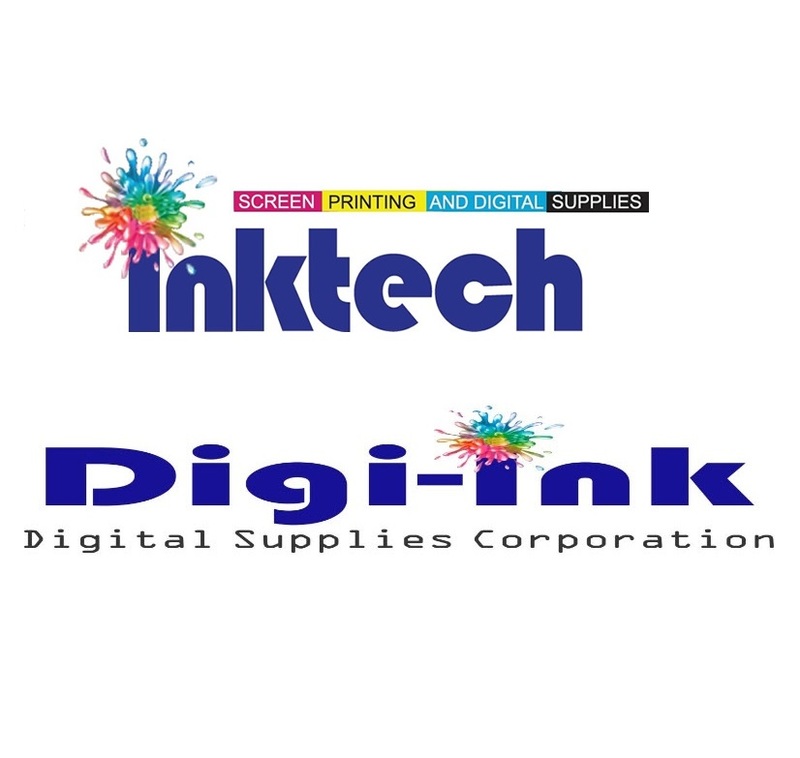 Astral Out of Home, a division of Bell Media, has announced the winners of its annual Carte Blanche for Creatives out-of-home (OOH) competition, for which participants across Canada were asked to create an original digital billboard ad for one of their clients. 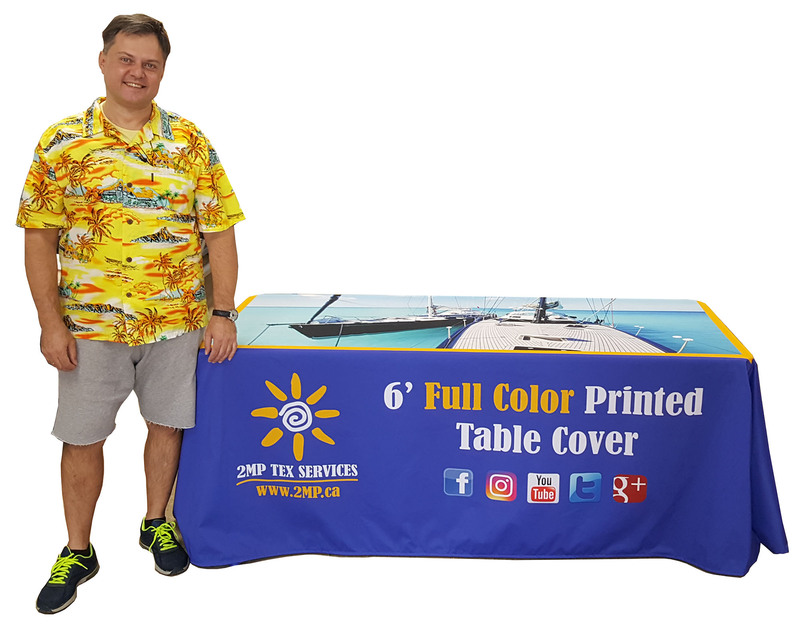 The eighth edition of the competition was launched in March 2017 and drew 272 concepts from creative teams at ad agencies in three markets: Western Canada (Vancouver, Calgary and Edmonton); Toronto; and Quebec. 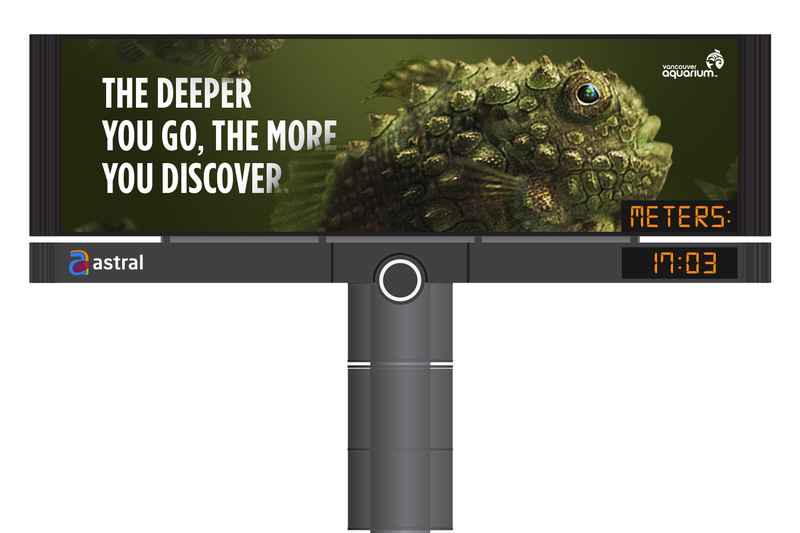 The grand prize winner for the Western Canada market was One Twenty Three West’s (123w)’s concept for the Vancouver Aquarium that uses a digital billboard’s existing clock as a dynamic representation of ocean depth in metres, with images of new sea creatures appearing as the ad moves deeper and deeper underwater as the day progresses (pictured left). 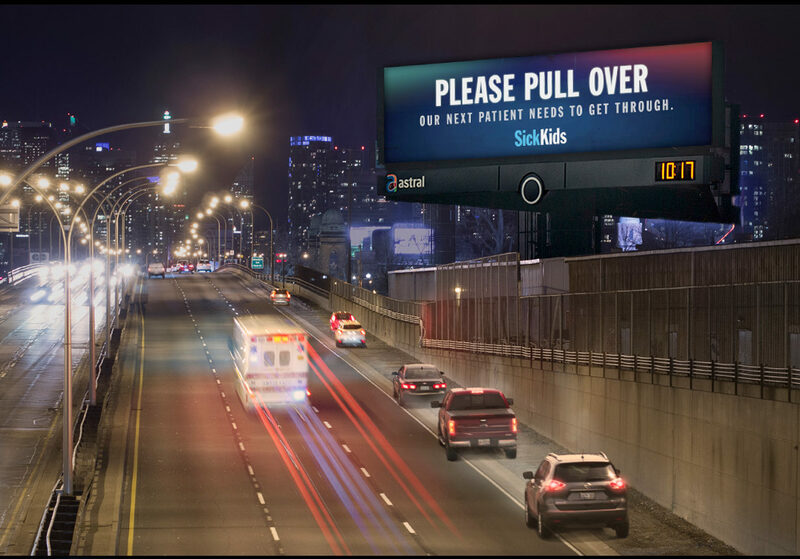 For the Toronto market, meanwhile, Cossette won the grand prize with a roadside digital billboard concept for the Hospital for Sick Children (SickKids), using live Global Positioning System (GPS) data to encourage drivers to pull over ahead of ambulances (pictured, below, right). 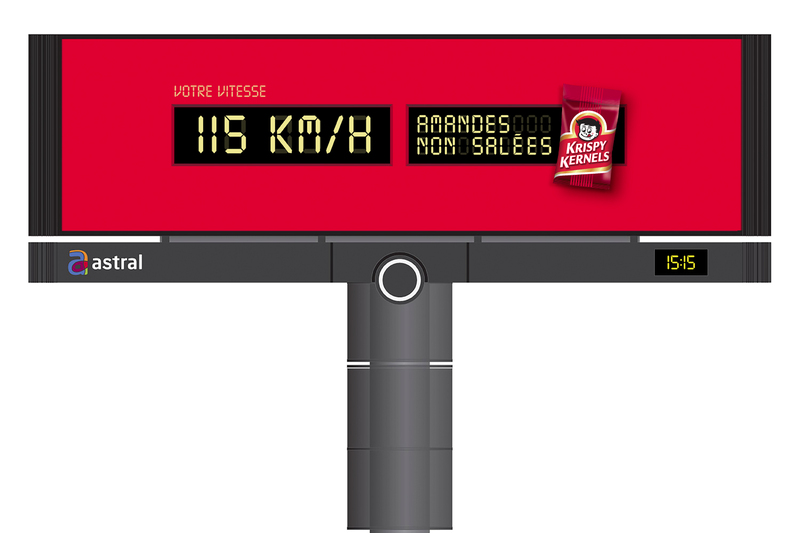 Finally, in Montreal, the grand prize went to LG2’s Krispy Kernels ad, which uses radar to detect drivers’ speeds and suggest different products accordingly (pictured, below, left). 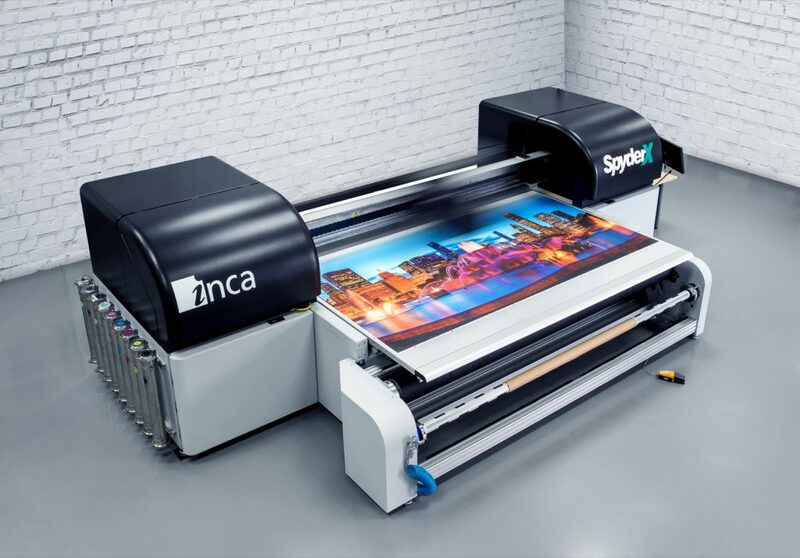 The three winning teams, announced throughout May, are being flown to this month’s Cannes Lions International Festival of Creativity in France, while their clients will receive free campaigns on Astral’s digital billboards worth $50,000. Each of the teams winning second- and third-place awards will receive a MacBook Retina and an iPad Pro, respectively.